The definition of a Shopify Product Feed URL in the minds of every Shopify store-owner might be a Shopify XML feed which contains all the necessary product data like title, price, SKU, weight, variants etc. But the reality is not as simple as that! What is a Shopify Product Feed? What is a Shopify Product Feed URL? What are the limitations of your Shopify Store’s Product Feed? How to create a valid and working Shopify Product Feed? But, what is my Shopify Product Feed URL? To get the Shopify Product Feed URL for all products, use the following template, just replace yourstore.com with your store’s URL in the below example. What are the limitations of the default Shopify Product Feed URL? The problem with the default XML based Shopify Product Feed URL is that it contains only less than 10% of your total Shopify products! You can’t filter or customize the feed based on your needs or preferences! How can I create a Shopify Product Feed for my own Shopify Store? 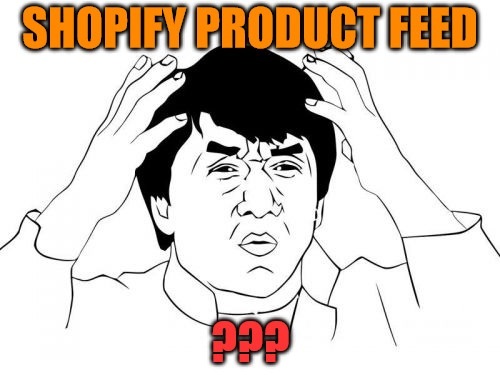 Which is the REAL Shopify Product Feed and why you should care? To get all the products as well as to filter your Shopify products, you must use the awesome Shopify API. The API contains many endpoints, each with many properties which may be a dream come true for every Shopify Store owner. By utilizing and using the Shopify API to its full glory, you can programmatically extend the power of your Shopify store by leaps and bounds. FeedEdge uses Shopify API to build customized feeds that meets the specification of online marketplaces, comparison shopping engines and social commerce sites etc. Kudos for this comprehensive article. Thanks again for making a complex topic an easy read. Helpful to remind the things. Upender, Glad to know that it was helpful.